The objective of the itSMF USA Awards & Recognition Program is to shine the spotlight – literally and figuratively – on the best of the best in the ITSM industry and in the service of the membership of the itSMF USA. In doing so we seek to achieve a fully engaged and contributing membership through recognition, rewards, encouragement and reinforcement of the standards, mission, goals, values and principles of the itSMF USA. The program is administered by a volunteer committee adhering to the stated criteria with the highest level of objectivity and rigor. The annual itSMF USA awards – announced at FUSION 18 – are not just about recognizing and celebrating the achievements of groups, companies, and individuals. They are an entry point into the knowledge and experience of those who have already succeeded. The awards are also a great advertisement for IT Service Management (ITSM) and its applicability to organizations of all shapes and sizes. Have questions about the awards program please contact awards@itsmfusa.org. This award recognizes companies who have demonstrated excellence in implementing or improving Service Management practices, leveraging relevant industry best practice frameworks, to achieve desired business outcomes. This award recognizes an individual member for their excellence in Service Management and overall participation in the Service Management industry and itSMF USA. 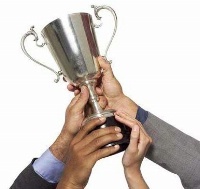 These awards recognize the contributions from local and virtual itSMF Communities. These groups have provided outstanding contributions in support of the mission and goals of itSMF USA. There are three awards in this category. Awarded to an established Community that has shown excellence in the delivery of relevant learning, growth and networking for Service Management professionals during the preceding 12 months. Awarded to a new Community that has shown tangible provision of relevant learning, growth and networking for Service Management professionals. Awarded to a community that has shown consistent commitment and success in creating relevant content, networking and learning opportunities for Service Management professionals over the past 5 years or longer. Refer to the following documents for more information about the criteria for submitting award nominations. Click the link below to submit your award nomination. Following is the timeline for the 2018 Awards Program.